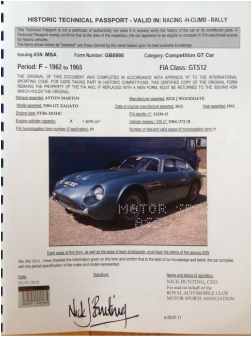 1960 Aston Martin DB4 "FAS 302"
The "Buff" logbook show that chassis DB4/272/R originally had the registration EPF 10 which was close to the initials of the first owner ERF Ltd. 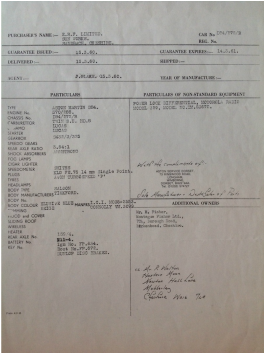 This registration was changed to 15 XTU in November 1962 just before the car was sold to the second owner in January 1963. 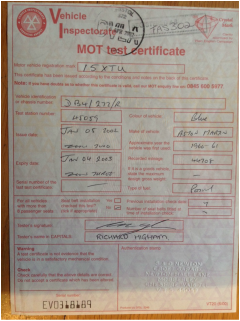 An MOT certificate indicates that the car kept this registration until 2002 when it changed to FAS 302. 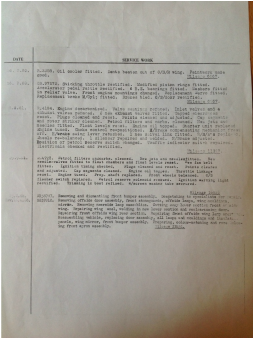 The car has a factory service record for the initial eight years of its life with the first entry being a repair to the OS rear wing, possibly due to Mr Foden's outing in the RSAC Scottish Rally within months of taking ownership of the car. 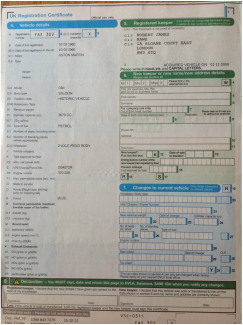 The MOT certificate of 2002 showing the change of registration number from 15 XTU to FAS 302.